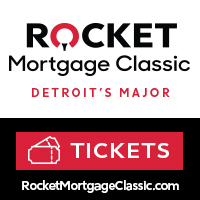 The Golf Association of Michigan Foundation Inc. was established to provide access to golf for the people of Michigan. We have found a unique, proven program called Youth On Course that began in Northern California and is spreading across the nation BECAUSE IT WORKS! The program provides young golfers with access to golf courses and instruction and teaches life-long benefits of the game. 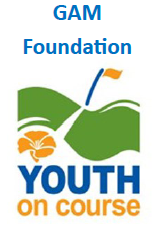 Through Youth On Course, the GAM Foundation is helping to build the next generation of golfers. Programs like The First Tee, PGA Junior League Golf and other local community programs get kids excited about golf but then there is a disconnect for many kids because they can’t afford to play. Cost has prohibited young golfers from pursuing their passion. Youth On Course subsidizes rounds of golf for those aged 6-18 with financial need so that the young golfers pay only $5 per round. By donating to the GAM Foundation Inc., you can help to ensure young golfers stay on the links for a lifetime. 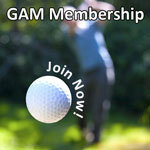 Won’t you consider donating to the GAM Foundation Inc. and helping a young golfer follow their dreams? Make checks payable to: GAM Foundation Inc.
Donors of $60 and above will receive a special golf gift; $150 and above will receive their choice of two gifts; $250 and above will receive 3 gifts. Youth who play golf are spending time outside and are surrounded with positive mentors and successful adults. 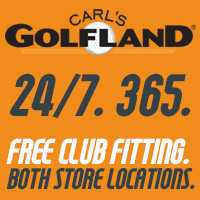 Golf is a great social activity – one that can open up new doors for our members. Not to mention, we think it is pretty fun! The GAM Foundation is partnering with The First Tee chapters and other junior golf associations across the state to help those golfers get involved with Youth On Course.